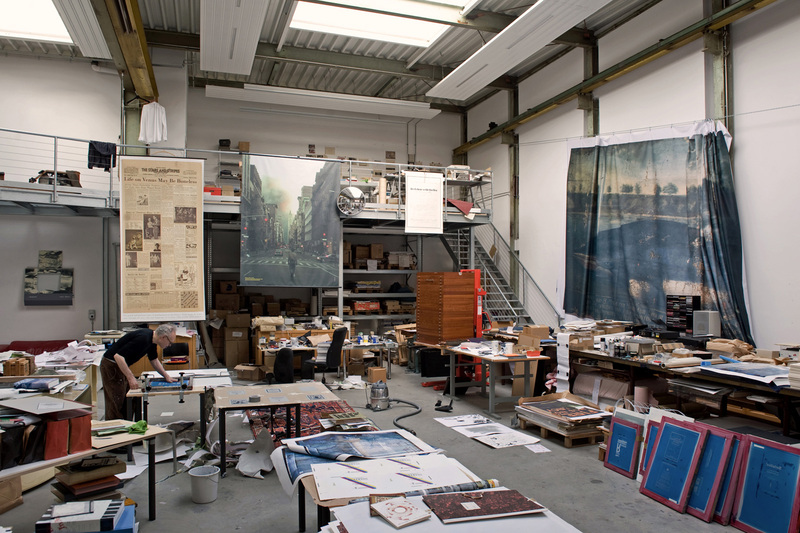 „Bremer Atelier“ is a series of studio visits of Bremen based artists, each accompanied by a special guest. For members only! More information will follow shortly. For members of the GAK only and restricted to ten participants. Please register until 15 April: 0421-500 897, office@gak-bremen.de. Wolfgang Hainke, born 1944 in Bad Warmbrunn, is an artist based in Bremen. Hainke works with printed graphics, performance, mail art and multiples. Some parts of his œuvre have been created in open collaborations with artist friends (like Richard Hamilton, Daniel Spoerri, Emmett Williams, Boris Nieslony, Allan Kaprow, Alison Knowles). Since 1973 he has been lecturer in Experimental Printing Methods at the University of Bremen. Exhibitions and publications: 1987 expanded performance “City Souvenir” at documenta 8, Kassel; 1992 W(H)/ALE, Städtische Galerie Bremen; 2006 artist book “Visions & Re-Visions on the Boulevard of Broken Dreams”; and 2007 “Topsy-Turvy Topography”, new staging of the Kunsthalle Bremen collection.